My Fatal Valentine The Fatal Letter. Valentine’s Day always brings out the best in mankind: the delightful box of chocolates, the gay flowers, the heart-warming sentiments, the vicious valentines…. Today we flip through a rack of gruesome, horrid, insulting and threatening valentines, and discover some missives to die for. Several years ago, in a piece called “The St. Valentine’s Day Massacres,” I wrote about the scourge of “Vinegar Valentines” and the violence they inspired in their recipients. That post included several stories of greeting-card-induced murder, murder/suicide, and the sad story of a young servant, Margaret Cray, who killed herself when her beloved apparently sent her a cruel valentine. I was surprised to learn that this was not a unique incident. Mrs. Bowers Commits Suicide Because a Valentine Insults Her. 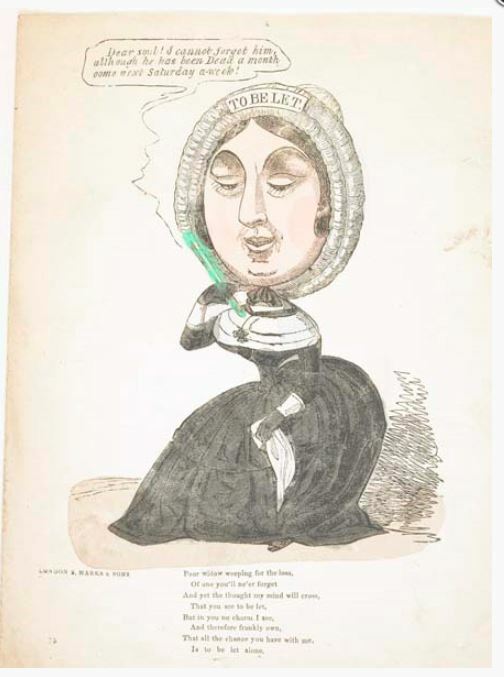 Valentines were often used to intimidate their recipients, much like the crape and coffin threats I’ve mentioned before. A similar valentine threat, which included some grave allegations about a “respectable man with a family,” had been sent a year earlier, in Colorado. In this morning’s mail came a letter from a prominent citizen of Hooper, Colo., who states that he has received the valentine and the accompanying letter from whom he has no idea, as the letter and valentine bear no names. “I am a respectable man with a family and am guiltless of the charges made. I ask you to help me. This is the second letter of this nature I have received through the Hooper post office. T.F. Wilson, a Retired Ranchman, Remembered in Unique Way by His Old Friends. At least the dog appreciated it. And she could sell the pin. Then there were the other body parts, reminiscent, in this case, of Van Gogh. Human Ear Was Enclosed in a Box and Sent to a Woman. St. Louis, Mo., Feb. 14. There was wild excitement at Miss Norma Langdon’s mansion, at 1311 Pine st., about noon today. The cause was a valentine received by Leila Powers, one of her guests. The valentine was a pretty fabrication of lace and pink celluloid, and within the box that contained it there was a human ear, only recently severed from the head and still bloody. The box and its contents had lain undisturbed in Miss Langdon’s sleeping apartments about 12 hours, for Leila Powers had a short time before disappeared from the house. I wondered about that “mansion” and its guests. Norma Langdon seems to have run an “improper house” for “soiled doves,” if we go by various court reports and an article about Nora Way “an inmate of the house on Tenth street kept by Norma,” who attempted to stab Norma in 1886. St Louis [MO] Post-Dispatch 10 August 1886: p. 7. I could find no further word on the fate of Miss Powers or the ear’s owner. Another ear was sent as a valentine to a Virginia man in 1903, noted with the casual racism of the day. It seems incredible, but a particular class of “vinegar valentines” was directed at tormenting widows, suggesting that they were “man eaters” or “merry widows” eager to snag a man or that they were glad their husband was dead. In a heartless case in Chicago, a newly-bereaved and deeply grieving widow was the victim of one of these valentines. Mrs. Sarah Sweeney Tries to Die Because of a Comic. Missive Laid at Her Door at 150 Gladys Avenue. Grief and mortification at finding a hideous valentine underneath her door on her return from viewing the body of her husband in the receiving vault at Calvary impelled Mrs. Sarah Sweeney, 150 Gladys avenue, a widow of one month, to swallow a cupful of ether in an effort to end her life. 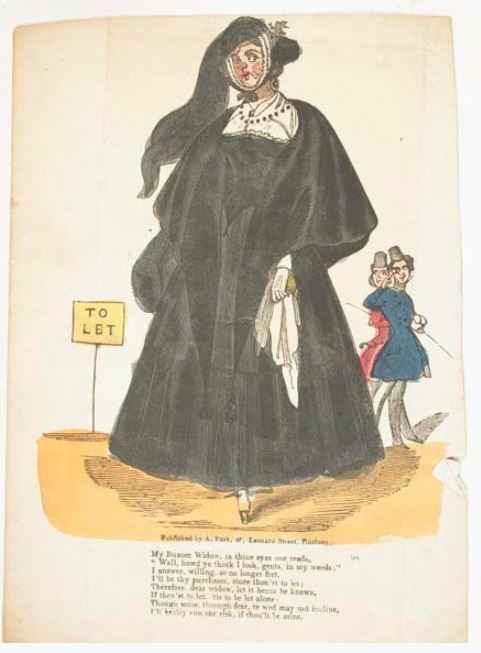 The valentine, on which were a picture and some unkind verses inscribed to “A Widow,” is supposed to have been sent by mischievous boys of the neighbourhood. Mrs. Sweeney was discovered a few minutes after she had swallowed the ether by her sister, Mrs. E.L. Seaton, and a physician was summoned in time to save her life. She is still in a precarious state, however, and the prank played on her, together with her own troubles, threatens to seriously affect her mind. Mrs. Sweeney’s husband, Philip Sweeney, was the proprietor of a prosperous plumbing business at 1025 West Lake street up to the time of his death, one month ago. The family, including two young children, was known to the neighbourhood as an unusually happy one, and when Mr. Sweeney died suddenly his wife was prostrated by the shock, and for a time her life also was almost despaired of. The grief of the widow was so great that she was reluctant to have her husband’s body buried at once, and to please her it was placed in a receiving vault at Calvary, where she made regular visits, often looking at the remains. Her friends were unable to persuade her to stay away, although it was found that the visits only aggravated her grief. Two weeks ago Mrs. Sweeney and her two children left the house at 1025 West Lake street, where the family had lived for almost ten years, and moved to 150 Gladys avenue. Once away from her old surroundings and partly lost sight of by her friends, grief took possession of the widow to such an extent that her relatives feared she would try to end her life. Mrs. Seaton went to live with Mrs. Sweeney and her children. The latter still continued her visits to the cemetery. On St. Valentine’s day Mrs. Sweeney went early to Calvary and took what she said was to be a final glance at her husband’s remains. She reached home a short time before noon, almost hysterical. The valentine was lying underneath the door and Mrs. Sweeney found it. It contained a cruel picture, supposed to represent a widow, and verses that were even more unkind than the picture. The sight of it threw Mrs. Sweeney into hysterics, as she thought it a reflection upon her grief for her husband. Although the neighbors, who had deep sympathy for her sorrow, assured her that the work was only a boyish prank, Mrs. Sweeney was inconsolable. She threatened to end her life, also, and for three days it was necessary to keep her partly under the influence of opiates. On Friday morning she appeared to have forgotten all about the valentine, and her relatives rejoiced to think that she had finally gotten control of her grief. There was a quantity of ether in the house which had been used by Mr. Sweeney in his plumbing business. Just before noon Mrs. Sweeney poured out a quantity of this, and, telling her sister she was going to end her “headache,” swallowed the drug before anyone could prevent her. The cries of Mrs. Sweeney’s sister aroused the neighbourhood and Dr. Richard H. Brown, California avenue and Jackson boulevard, was hurriedly brought. A half hour’s hard work brought the woman back to consciousness, though she was still hysterical over the memory of the valentine. Why the hell not? If children had left the valentine, at the very least strong words seemed in order. If an adult, charges of reckless endangerment or depraved indifference might have fit the case; involuntary manslaughter if the widow died. And that is the big question. While I was able to find Dr. Brown in the medical rosters, Mr. and Mrs. Sweeney seem to be missing from the online record. Did she survive? chriswoodyard8 AT gmail.com, who will not be opening any mail today. Chris Woodyard is the author of The Victorian Book of the Dead, The Ghost Wore Black, The Headless Horror, The Face in the Window, and the 7-volume Haunted Ohio series. She is also the chronicler of the adventures of that amiable murderess Mrs Daffodil in A Spot of Bother: Four Macabre Tales. The books are available in paperback and for Kindle. Indexes and fact sheets for all of these books may be found by searching hauntedohiobooks.com. Join her on FB at Haunted Ohio by Chris Woodyard or The Victorian Book of the Dead. 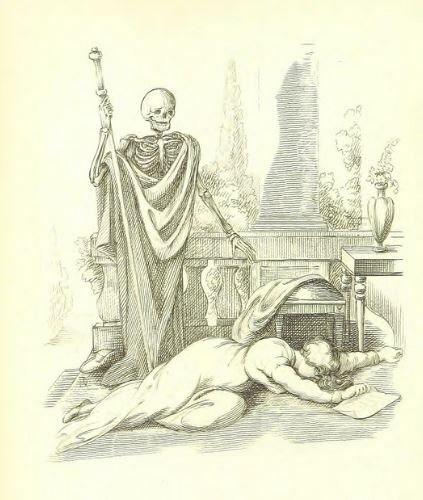 And visit her newest blog, The Victorian Book of the Dead.